Royal Caribbean International has aligned itself with the Singapore Tourism Board (STB) and the Changi Airport Group (CAG) in a multi-million dollar venture to increase the number of cruises leaving from the port of Singapore. The Singapore Cruise Promotion will enable Royal Caribbean to increase the number of times its cruise ship, Mariner of the Seas, sets sail during a cruise year. The new alliance is meant to increase the number of departures from 30 to 40+ over a three-year period—from 2015 to 2018. The next cruise season for the 3,807-passenger vessel begins in October 2015 and will, notably, be the most expansive to date. Sailings will increase from 7 to 15 nights, with the goal of elevating the number of cruise passengers internationally by 50 percent. The collaborative effort among Royal Caribbean, the STB, and CAG is projected to attract 170,000 visitors internationally. 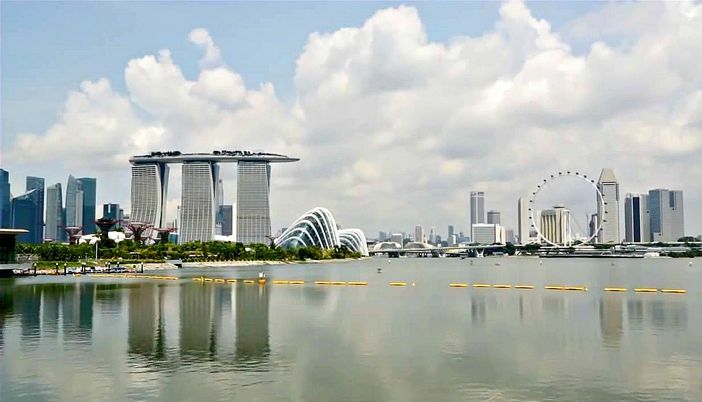 The objective of the collaboration also increases the Changi Airport Group’s connectivity of its 320-city network worldwide, thereby enhancing economic impact within the city of Singapore and bolstering the interest of cruise travel in Southeast Asia. The Singapore Cruise Promotion will enable marketers and researchers to develop partnerships and travel alliances within Asia as well as in North America, Europe, and Australia.